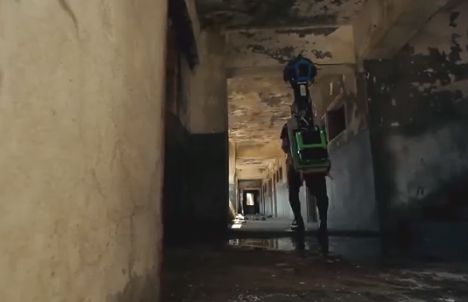 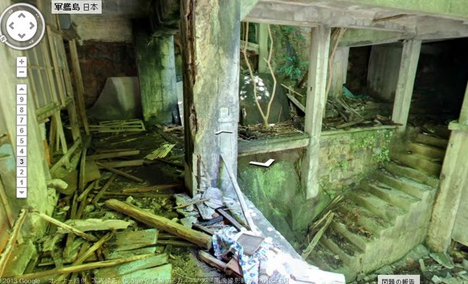 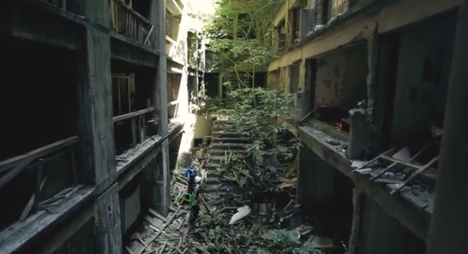 Street View has mapped much more than roads in its, but sending a lone urban explorer through the haunting multistory ruins of a remote island may be one of their riskiest geographic ventures yet. 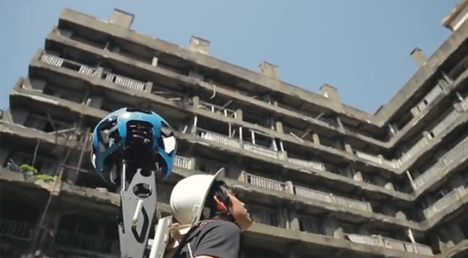 Strapped with panoramic photography equipment, this video shows a lone Google employee crawling through rubble, scaling partially caved-in abandonments and standing on precarious roofs, all to document one of the most unique deserted cities on the globe. 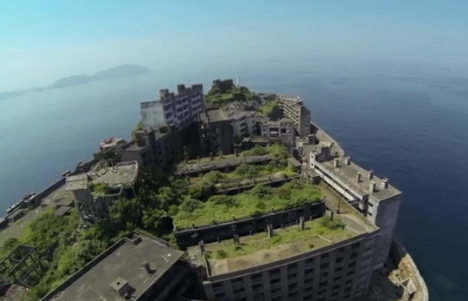 Occupied for over a century, and briefly the world’s most densely-populated island, Gunkanjima, Japan (aka Hashima) is now one of the loneliest places on the planet. 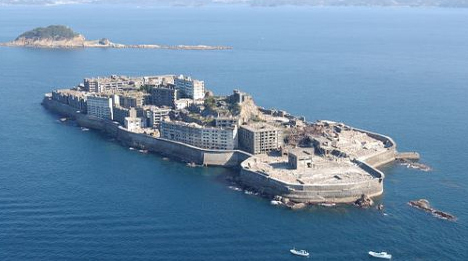 Side trivia: if it looks familiar, you may be remembering it from scenes of Skyfall, the James Bond film. 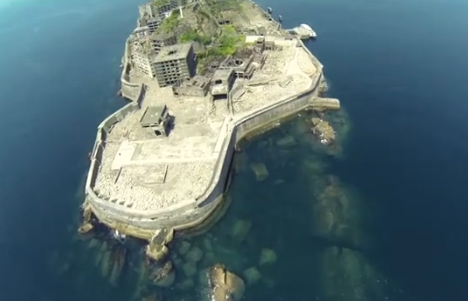 A giant concrete wall surrounds the ship-shaped Battleship Island, giving it its nickname. 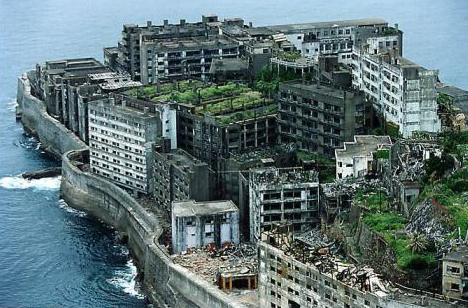 At one point it was packed with an average of 1.4 residents per square meter of space, almost like an overcrowded sea vessel. 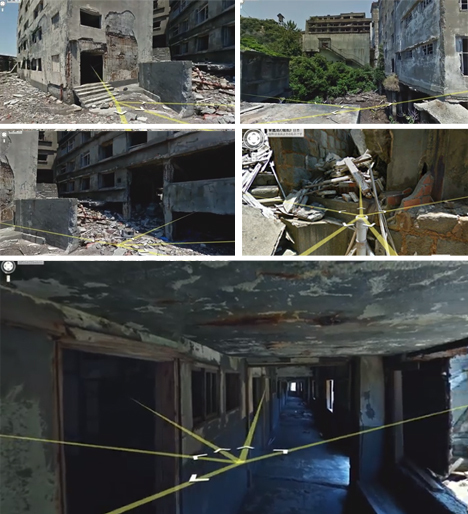 Parts of the deserted island have since been reopened to the public, but Google secured special permission to go off the beaten path and pass through long-abandoned buildings that only intrepid infiltrators have seen in recent decades past. 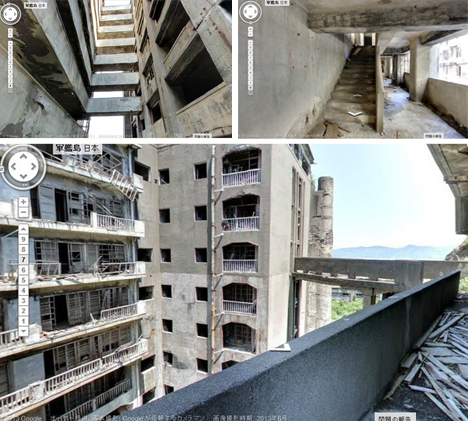 Thanks to their carefully mapping, virtual visitors (web viewers) can now tour the corroded corridors, crumbling stairs and uncertain roofs from a much safer distance, almost look a choose-your-own-adventure for urban explorers.